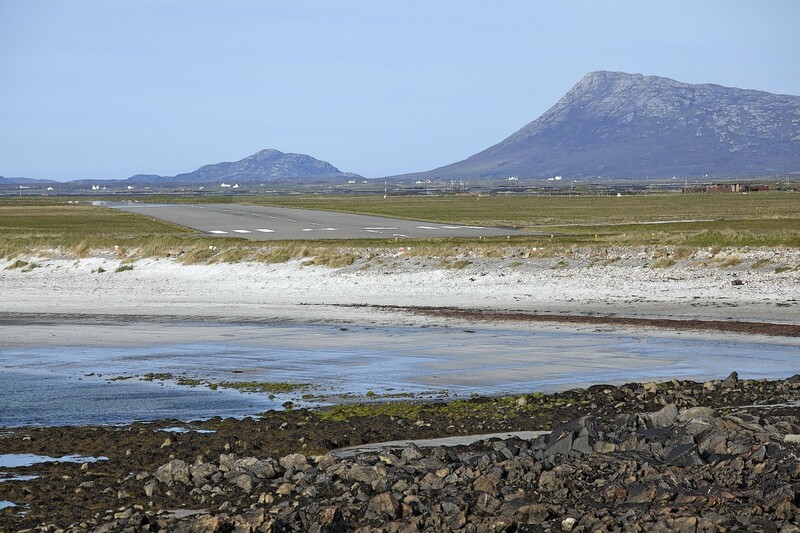 A £1million project to tackle erosion which threatens the capacity of Benbecula Airport will soon get under way. Rock-filled cages, known as gabion baskets, will be deployed to defend 435 yards of coastline against the ravages of the elements. The dunes protecting the airport runway are continually under threat from wave and storm action. The latest contract is for normal scheduled coastal erosion works at the airport’s western boundary and has not been driven by a particular phase of rising sea water or extreme weather. A Highlands and Islands Airports Ltd spokeswoman said: “Coastal erosion is well documented at the airport and the previous works phases have protected the main runway. Experience has shown storm events can take up to 5-10m (16ft-32ft) of unprotected dunes at a time. Airport operators Hial keep watch on the situation and deliver a regular series of works to maintain the airport and the surrounding environment. HIAL spent £600,000 in 2003 dealing with erosion on a 500 yard stretch of the airport’s south-west boundary. But another £800,000 investment was required in the autumn of 2008 as the area to the north of this had eroded about 20 yards back past the original works over that five-year period. The contract – worth £960,582 – for the work has been awarded to Breedon Hebrides, based at Marybank Quarry in Stornoway. Hial’s board last week agreed to pursue an option to invest £28 million to enable the handling of air traffic control for seven terminals from a single site. Under the plans, a single air traffic control system using information from unmanned towers would serve airports at Inverness, Sumburgh, Wick, Kirkwall, Stornoway, Benbecula and Dundee.